'What shall we have for tea?' 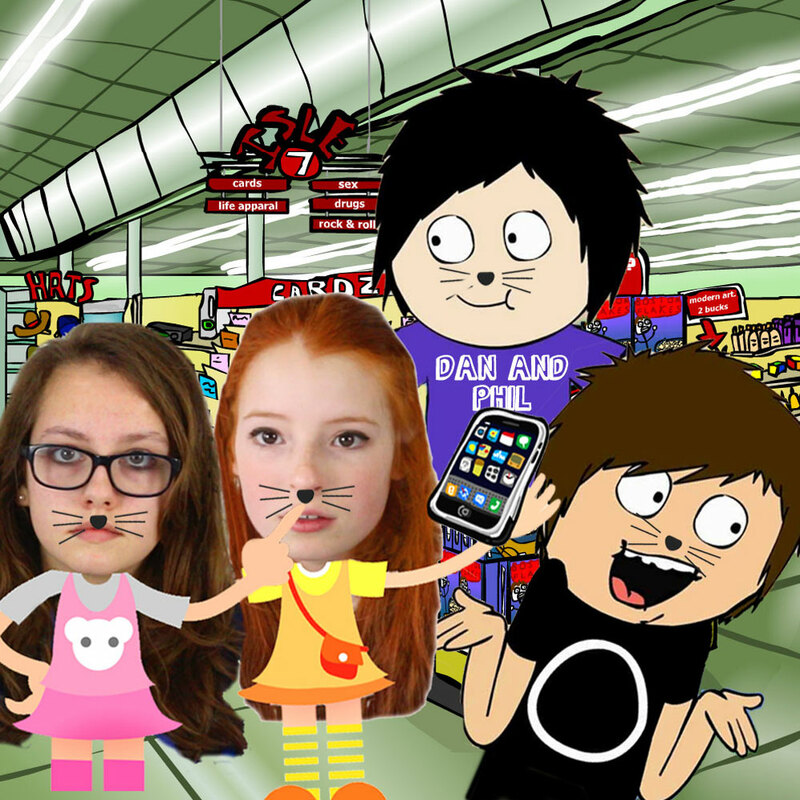 said cartoon Dan and Phil, and so off to the supermarket we headed. Nia fancied something light and healthy, like a nice chicken salad and some fruit, while Liv wanted a large deep-pan pepperoni pizza with extra mozzarella cheese, as she usually does. Dan and Phil were in the mood for a curry and poppadoms, and so headed straight to the Indian food aisle for the necessary ingredients, including a jumbo jar of mango chutney. Everyone was all set for a feast, with strawberry ice cream for afters (a favourite of aliens as you will have learnt from our past podcasts), but nobody was impressed when we had to pay five pence for each carrier bag.